TIME magazine could not have picked a more appropriate year than 2018 to honor journalists and the press as its Person of the Year award. The first reason is symbolic as December 10, 2018, marked the 70th anniversary of The Universal Declaration of Human Rights, which included “the right to freedom of opinion and expression” as an inalienable ‘human’ (not ‘democratic’) right. The second reason is practical as 2018 is also a year when journalism and journalists, which TIME named as “the guardians” of truth, faced a renewed battle from all directions. Fifty-three journalists have been killed in 2018. The killing of Jamal Khashoggi hit the headlines more than most, for reasons ranging from the graphic nature of his killing to the profile of the persons involved at both ends. The killing of the four journalists and one admin staff of Capital Gazette at their office in the United States also raised eyebrows as the US is considered the beacon of democracy where such things are not supposed to happen. Otherwise, the killing of journalists is not uncommon. In fact, in 2018, one journalist died almost every week somewhere in the world. But killing journalists is not the only attack that is directed against the press. Populist politicians with awesome powers – from Trump to Bolsonaro, from Mohammed bin Salman to Sheikh Hasina – have waged even more dangerous propaganda wars against the media, wielding terms such as “fake news”, which aim to erode the very element that sets journalism apart from gossip – trust in its integrity. And for all these reasons, I am fully behind TIME’s decision to honor Jamal Khashoggi, Maria Ressa, Wa Lone and Kyaw Soe Oo, and The Capital Gazette as Person of the Year 2018. And I believe that recognition by TIME played a big role in getting event organisers to choose journalists to lead the 60-second countdown to midnight on New Year’s Eve at Time Square, New York, an honour bestowed each year upon people and organizations who have inspired the world. 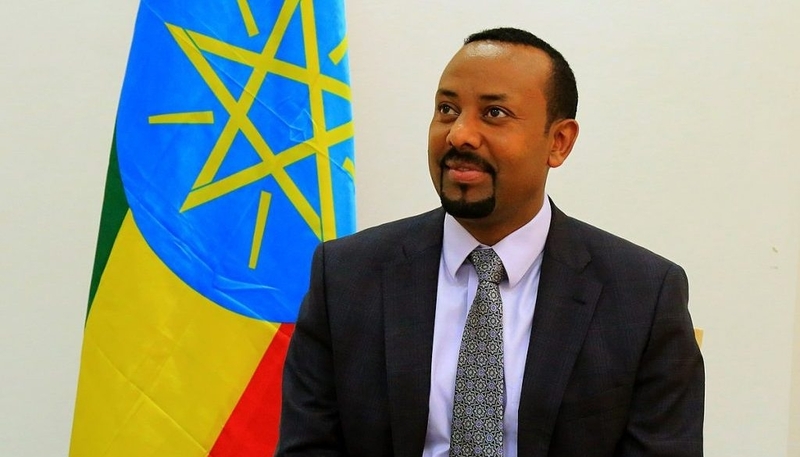 I only wish TIME had also recognized Prime Minister Abiy Ahmed of Ethiopia, who took great personal and political risks when freeing all jailed journalists within days of his appointment, in a country otherwise known as one of the world’s worst for imprisonment of journalists. I wish he had been celebrated along with those heroes and heroines, perhaps as an example of the light that is still flickering in the darkness that has befallen journalism all around the world. And that light is unique because it comes from the most unexpected of places. Abiy Ahmed made Ethiopia a country with no journalist in prison for the first time since 2004, in a country that had notoriously jailed 18 journalists at the same time. This means a lot to me as a person who quit journalism too early for fear of having to choose between jail and exile, and as a person who quit teaching journalism for the moral reason of not sending my students to a battlefield I did not have the courage to face myself. 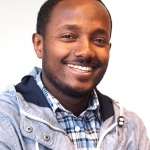 Under the guardianship of Abiy Ahmed, Africa’s youngest leader, journalists in Ethiopia will not have to choose between exile and jail. Within weeks of his appointment, his regime unblocked 264 websites and TV networks that were blocked by the previous regime. Hundreds of exiled journalists are going back home, some of whom are re-establishing their closed media houses. Foreign Policy recently names Abiy Ahmed as one of its Global Thinkers of the day. In their last-day-of-2018 report, CNN dubbed him the “Prime Minister who captured Africa’s imagination.” BBC called him a “leader promising to heal a nation.” Ghanaian journalist Elizabeth Ohene described him as the man doing “the equivalent of making the sun rise from the west”. And Africa Leadership Magazine honoured him as African of the Year 2018 with him winning over 85% of total votes submitted. When he was inaugurated, four million Ethiopians poured to the streets and squares of Addis Ababa and celebrated his leadership. Clearly, the man is not short of recognition. A lot of people believe he might be a strong candidate for the Nobel Peace Prize for Peace. But recognition from TIME would have demonstrated two things. First, it would have sent a message to the rest of the new generation of African leaders that the world also pays attention to the good things they do in their respective countries, not just the errors they make. Secondly, it would have shown powerful leaders like Trump, who are attacking the free press, that even if they don’t provide the leadership normally expected from their high offices, somebody will do it from the humblest of places. And lastly, it would have demonstrated TIME‘s appreciation of the hardships that Ethiopian journalists went through to do what they live to do – seek and report the truth, in the most unfriendly of circumstances which was the “old” Ethiopia.